A seasonal porch — also known as a three-season room — is essentially an enclosed porch. Generally, it’s built on a slab, boasts lots of windows, and does not have any heat or air conditioning. Hence why it’s only used three seasons of the year and not four. However, retrofitting the room with radiant heat can make it a usable space year round. And with more and more homeowners showing interest in extending their home’s living space outdoors, the ability to make a porch usable all year long is an exciting option. It’s easy to see why a concrete slab, a bunch of windows and no insulation would result in a very cold room during the winter months. Heating an uninsulated porch is no easy task. Sunny days may help warm the room up a little, but it’s still going to be the coldest room in the house by far. So, let’s find out how to make a 3-season porch warmer. First, you’ll need to insulate the room. This will allow any heat you release in the room to actually stay inside the room. Use fiberglass or foam insulation within the exterior walls and cover the windows with blinds and/or curtains when the sun isn’t shining. One of the easiest porch heating options is a radiant panel. If you live in a part of the country with mild winters, a radiant panel may be all you need. It mounts to the wall like a picture and either plugs into an outlet or can be hardwired to the home’s circuit. Radiant panels are used just like space heaters and can heat up to 143 square feet, depending on the unit selected and conditions of the room. A radiant panel is the least invasive 3-season porch heater option. However, if you want to ensure that the entire porch is evenly heated no matter how harsh the weather is outside, radiant floor heating may be a more suitable option. Electric floor heating is great for remodels because it’s easy to connect to existing electrical work. It does require you to replace the flooring in order to install the floor-heating system underneath, but you may wish to remove the flooring anyway to insulate the concrete slab subfloor. Especially when a floor-heating system is being installed, it’s important to install a layer of insulating underlayment to prevent heat from escaping through the concrete. Electric floor-heating systems ensure that the room is evenly heated since the system blankets the entire floor. This results in a comfortable temperature throughout the room. Radiant heating systems are compatible with nearly every floor type. Carpet, laminate, tile and stone are some of the most popular flooring types for sunrooms. Electric floor heating can also be installed within a freshly poured concrete slab, which should be kept in mind if you’re thinking of adding a new three-season room to your home. 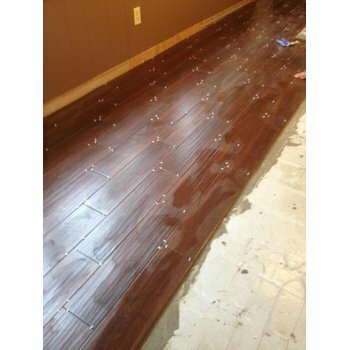 This slab can either be polished or stamped, or flooring can be installed on top of the heated slab. Typically, three-season rooms are furnished the same way an outdoor patio is furnished. 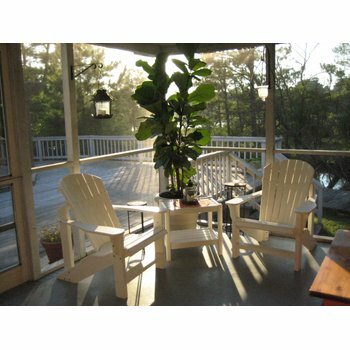 They usually include an outdoor table and chairs for entertaining or an outdoor couch for relaxing. When converted to a four-season room, there are many more possibilities. The flooring, furnishings and light fixtures can reflect the style of the rest of the home. The room can be set up as a relaxing room to read and rest, or a fun escape to play games like pool or foosball. 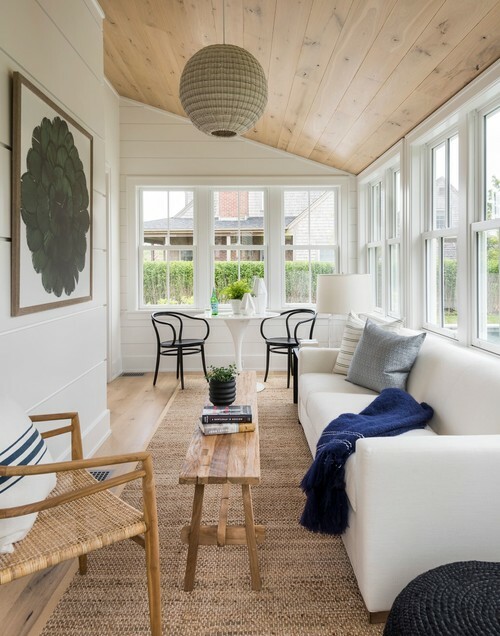 If the home doesn’t have a great room, a large sunroom can take on that function with oversized couches, inviting draperies and a flat-screen TV. In short, with a little heat, your three-season room can become that extra space you’ve always wanted. To find out how much it would cost to heat your space, use the free Radiant Floor Heating Quote Builder.